profoundly original meditation on truth and the justice system, Errol Morris—a former private detective and director of The Thin Blue Line—delves deeply into the infamous Jeffrey MacDonald murder case. MacDonald, whose pregnant wife and two young daughters were brutally murdered in 1970, was convicted of the killings in 1979 and remains in prison today. 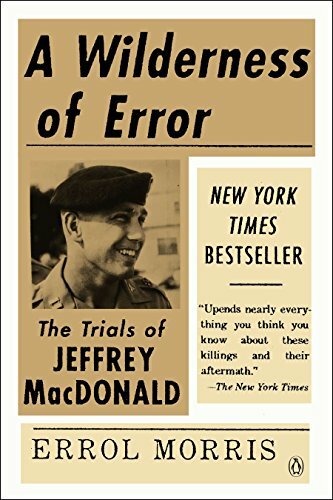 The culmination of an investigation spanning over twenty years and a masterly reinvention of the true-crime thriller, A Wilderness of Error is a shocking book because it shows that everything we have been told about the case is deeply unreliable and that crucial elements of case against MacDonald are simply not true.